Our silver confetti cannons create wonderful memories for your guests. 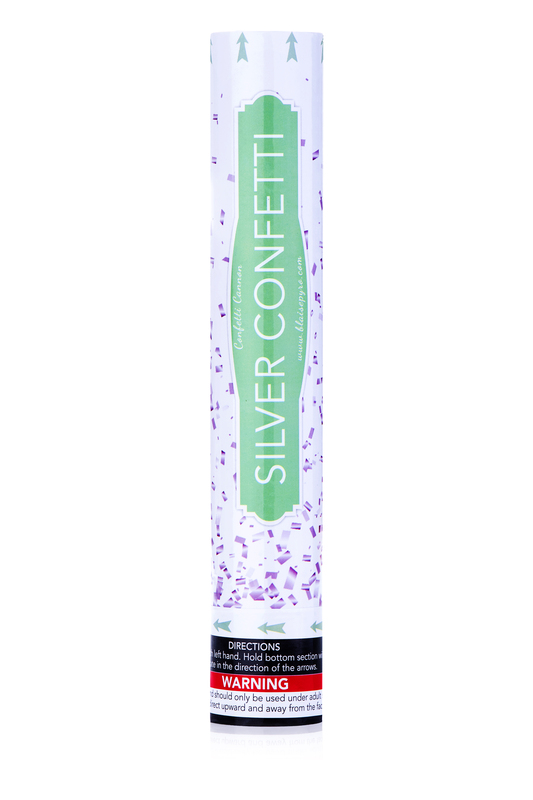 These silver confetti cannons can be used at any event or celebration and measure 12” long by 2” in diameter. They use compressed air to shoot the confetti about 15 feet into the sky! 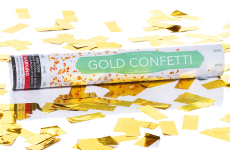 When ready to use hold the top of the tube with one hand then twist the bottom of the tube with the other hand and “BAM” watch the Silver Metallic, confetti fly! Remember to always face the cannon up. 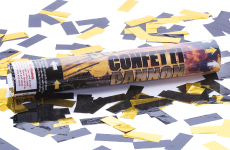 Our silver metallic confetti cannons are not a pyrotechnic, they do not cause any smoke or hot items that you must take care of after using. 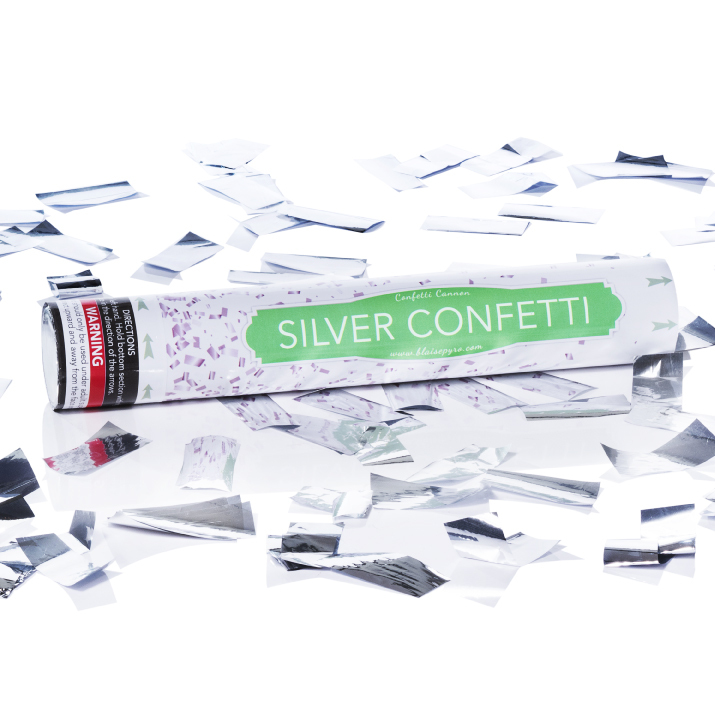 This 12” Silver Confetti Cannon is perfect for indoor or outdoor venues.